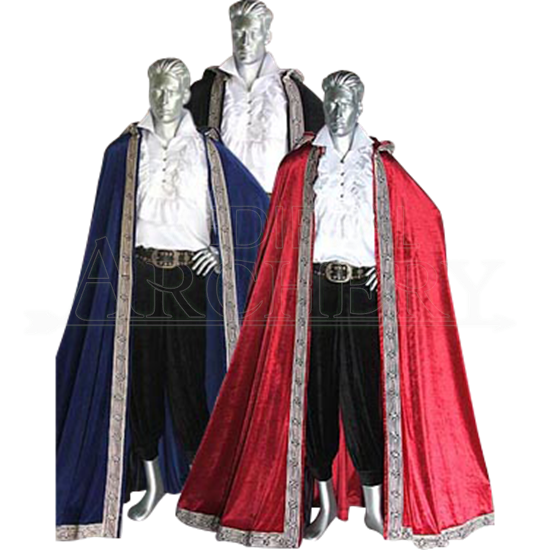 The Knights Hooded Cloak is made from velour velvet fabric with hand sewn medieval style trim. The hood of the cloak is lined in satin. The Knights Hooded Cloak comes in sizes a variety of sizes and colors. This full length medieval cloak ties at the neck with standard fabric laces. 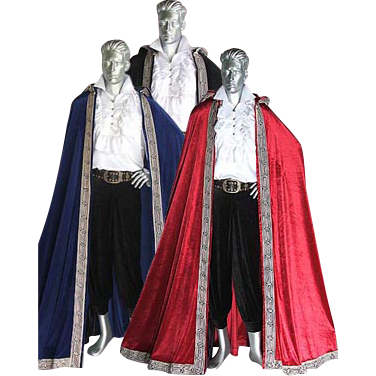 Our Knights Hooded Cloak is the perfect finishing touch to your medieval or renaissance costume.